Manager Josh Green talks about grain prices at Tate & Lyle near Mattoon. CHARLESTON — Record yields. Soybean tariffs. A federal shutdown. Key moments in the 2018-19 season continue to make for an exciting year for agriculture, albeit not always positive, and the industry's most recent hurdle is proving more problematic as time passes. Outside of leaving government employees without paychecks and having parks with overflowing trash cans, the partial federal government shutdown -- at least temporarily stopped by a three-week agreement announced Jan. 25 -- also made for a touchy grain market, which, in turn, has made decisions on selling and planting grain more challenging for local producers connected to the price of soybeans and corn. 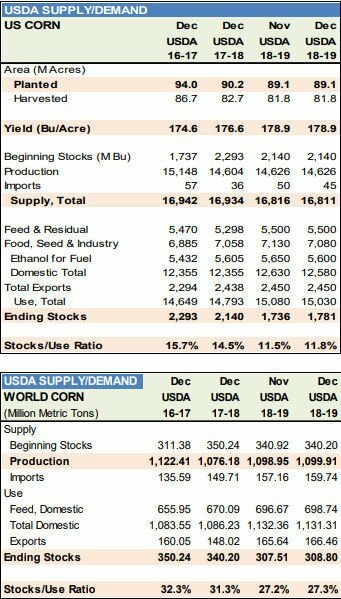 Among other duties, the United States Department of Agriculture (USDA) is relied upon to release supply and demand data for grain, specifically soybeans and corn, for local farmers and local commodities traders. As of late January, many were working off information released over a month ago. A newer report was slated to be released Jan. 11, yet the date has come and gone and still the newest World Agricultural Supply and Demand Estimates report released so far came out a month before. While juggernauts in the commodities market have been able to wade through it all with better market analytics, the overall markets, and therefore farmers who sell in those markets, have been flying blind on when to sell and what to plant, said Josh Green, Tate and Lyle Coles Station grain elevator manager. "The market is in limbo," Green said, as people waited for an end to the federal shutdown. The country's farmers and traders are wading into uncharted waters, said Paul Daily, Mattoon farmer. "Everyone is kind of on pins and needles," he said before the three-week agreement was reached. And that is reflected in recent market shifts. He said the commodities market has shifted rapidly in relation to even the smallest bits of news. "It doesn't take much to move these markets now," Mattoon farmer Paul Daily said. "Markets are really jittery because we just don't have any information. There is just not a lot of news. We are not getting anything out of Washington." Daily pointed to one example where one Brazilian analyst said the soybean crop in that country was not as hurt, and that news hit soybean prices relatively quickly. The numbers were wrong, though, and there was a production cut in Brazil, shifting the prices back. The markets are latching on to any discernible metric for where the international supply and demand is and how that impacts U.S. soybeans and corn. There is a sense, or more specifically a need, for consistency and stability the market has been waiting for. That need is represented in the jumps and dives those paying attention to the markets have noticed, Daily explained. Daily said for himself and other local farmers, they plant 50/50 corn and soybeans, leaving the gambling on market out of their crop. "Some farmers, this year, went heavier on the soybeans," he noted. Soybeans looked like the profitable crop with countries like China pulling in more and more soybeans. That dropped off when tariffs were instated on U.S. soybeans after similar tariffs were made on Chinese exports. Daily said these shifts, although frequent, are also small in comparison to, say, the stock market. He said there is usually a 50-cent range as it fluctuates. "It usually stays within a channel," he said. Coupled with the shutdown, those in the agricultural community are still cautiously watching what impacts the tariffs on U.S. soybeans will have for the next growing season, which Green said could strike an imbalance in what is planted for the upcoming season. Green said there is concern from some that too many farmers will pull back from soybeans in reaction to the tariffs, that the equilibrium between corn and soybean supply might see an asymmetry. Even still, Daily is optimistic that demand is there for grain and the prices to come back when a trade deal is made. "I think the demand is excellent out there," he said. Last harvest, farmers were saved by record yields that overcame dropping soybean prices, Daily said. He noted, though, that farmers can't rely on impressively high yields each year like they received this last season to get them to break even. "The only thing that is keeping us above water is our good yields this year," he said. Both the federal shutdown and the trade dispute have no visible signs of permanently ending anytime soon. This already was the longest shutdown in United States history and lawmakers and the president seemed uninterested in budging until a temporary, three-week compromise was announced Jan. 25. Just before that, lawmakers failed to pass two conflicting bills to temporary restart the government. As to what might happen if this shutdown resumes after the three-week period, Daily and Green both did not have an answer. So far the impact was slight, relatively speaking, outside of unknowns in the market, but that is not to say things won't become a problem in the near future. Green said this has not happened before, so there is nothing on which to base predictions. "It could be a rough time," Daily said. "If the tariffs go on and the shutdowns go on -- it could be a hard time for farmers. Can we count on the rains like we did last year? If we lower prices or even trend line yields? If we back off just to trend line yields with these prices, then you are looking at a negative cash flow." Daily is still hopeful, though, that the issues surrounding the shutdown will resolve themselves sooner rather than later. Should they not, the Mattoon farmer added other bigger issues will rear their heads if it continues, at least for farmers, pointing to crop insurance in particular. The government subsidizes crop insurance to make the insurance prices more affordable for farmers. "The shutdown for the Midwestern farmer is not critical yet, but it is going to be critical," Daily said just before Jan. 25. "Another 30 days, we will be setting price. We will be wanting to get our crop insurance... if they are not being administered, that could adversely affect the farmer."